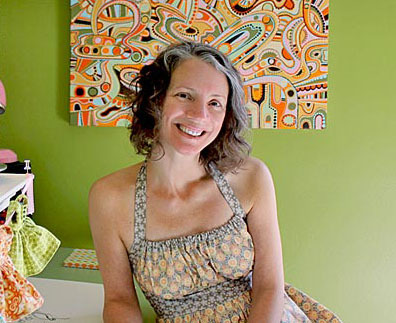 The Fat Quarter Shop is excited to welcome Jenean Morrison to the Jolly Jabber. 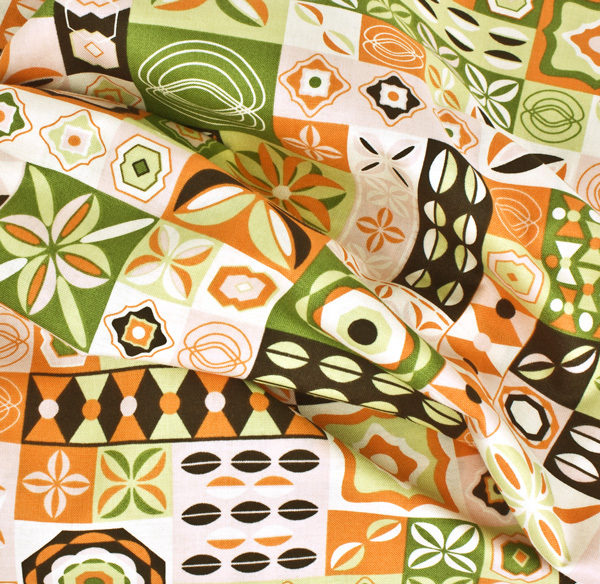 Jenean’s latest fabric collection is Power Pop from Free Spirit Fabrics. Q: What was the first seed that grew into the Power Pop collection? A: This collection was inspired by power pop music and pop art. While many of my collections have been inspired by music and art, Power Pop is a celebration of the two coming together in a more literal, explosive and joyous way. A: My collection does have a soundtrack! I love “power pop” music, and each pattern was named for either a power pop artist or song, like “Big Star,” named after the classic Memphis band, and “Dream All Day,” a song by The Posies. A: My absolute favorite is JM54 Clique in Strawberry. I had so much fun creating this pattern. The repeat was particularly complicated, and I am always up for a challenge like this. I love the patchwork look ––more than any of the other prints–– and I am looking forward to seeing the creative ways that people work this one into their projects. A: My favorite project is this lamp I made for my booth this year at the International Quilt Market. It was a simple no-sew project, and I was able to use every SKU in the collection. I think it gives people a great feel for the entire line. A: I love the design side. 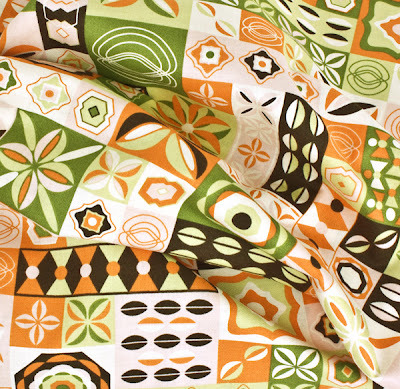 Designing an entire collection of coordinating fabrics is one of my favorite things to do. I feel like I get to use all of my artistic skills and strengths, and it is extremely fulfilling. And on the other end of the process, once the fabrics are produced, I get to see what all the creative folks out there do with them. 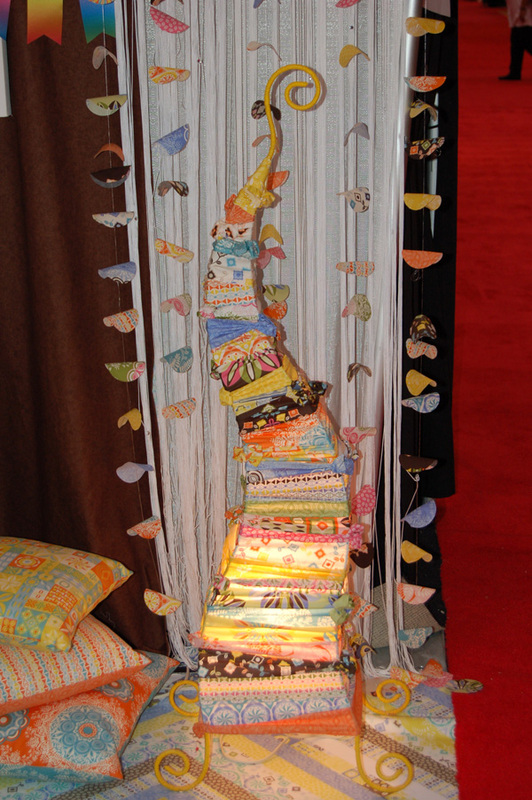 Connecting with others in this way and seeing what they make with my fabrics is very rewarding! A: I just received the first round of strike-offs, so it’ll be a little while before Free Spirit and I share them. But I’ll be reveal the collection soon. I’m very excited about this one --it has a really fresh color palette, and it includes my first border print! 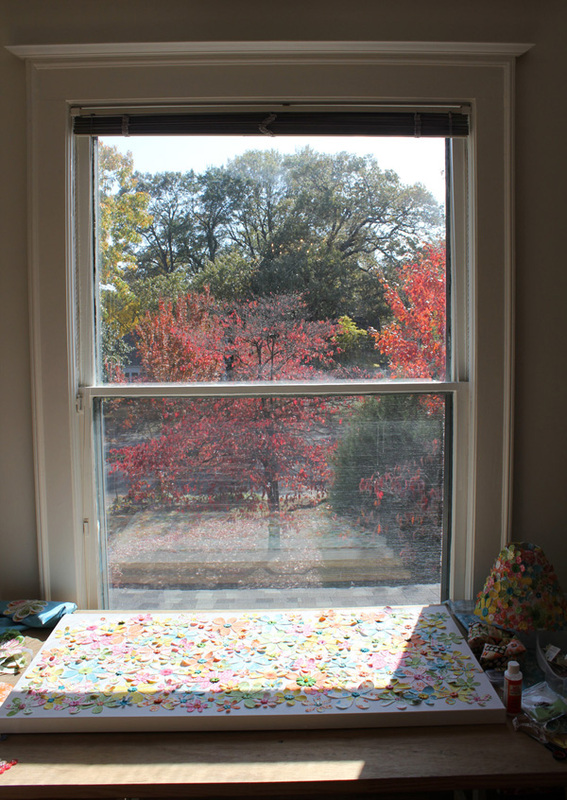 A: I love this huge window in our house––and the view. The dogwood’s color changes through the seasons always inspire me. 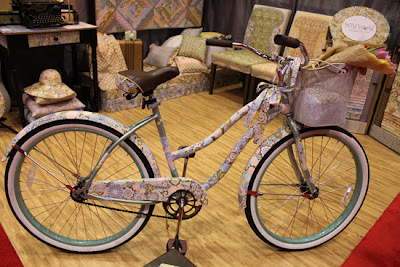 A: For the Fall 2010 Quilt Market I decoupaged a cruiser-style bicycle with fabrics from my Wild World collection. It was such a fun project! A: There is a great little corner of my home studio. I’ve put my favorite chair there next to a couple of shelves of design books. 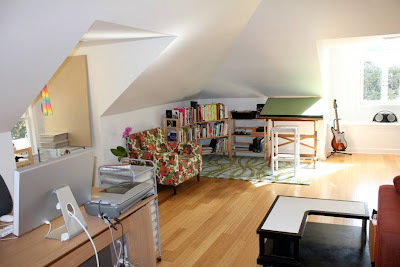 I love to curl up with design books or magazines and take some time to relax and get inspired. A: Lifetime movies. I prefer the thrillers, not the romantic or sentimental ones. These are such a pleasure, I don’t even know if I feel guilty about it. Why feel guilty about something that gives you pleasure?